Somewhere in the middle of the Southern California desert is an oasis conceived by Austrian-born artist Alfredo Barsuglia. After 15 years of working in the art world, Alfredo’s projects are known for generating controversy, and Social Pool is no exception. 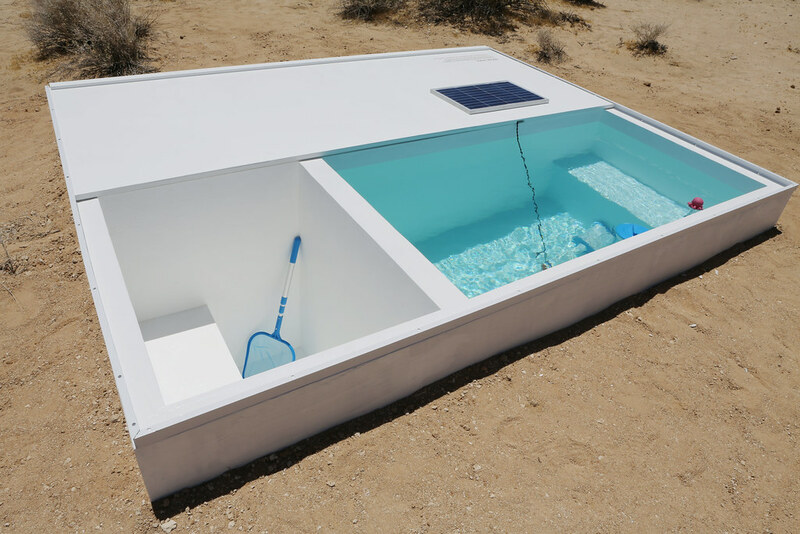 The Social Pool is a conceptual sculpture located in the Mojave desert, about 2-3 hours outside of Los Angeles. The exact location of the installation is kept under wraps by the MAK Center for Art and Architecture, and visitors must make a reservation in advance to visit the installation. Upon approval, pool-goers obtain a key from the MAK Center and trek to a GPS coordinate that’s so isolated the road ends and visitors must make the last portion of the journey by foot. Once the pool has been located, the key can be used to open the sliding top, which doubles as a sundeck. The only man-made structure within eyesight, the 11-by-5 foot white sculpture filled with translucent blue water (kept clean by a solar-powered filter) is striking and dramatic against the barren landscape. 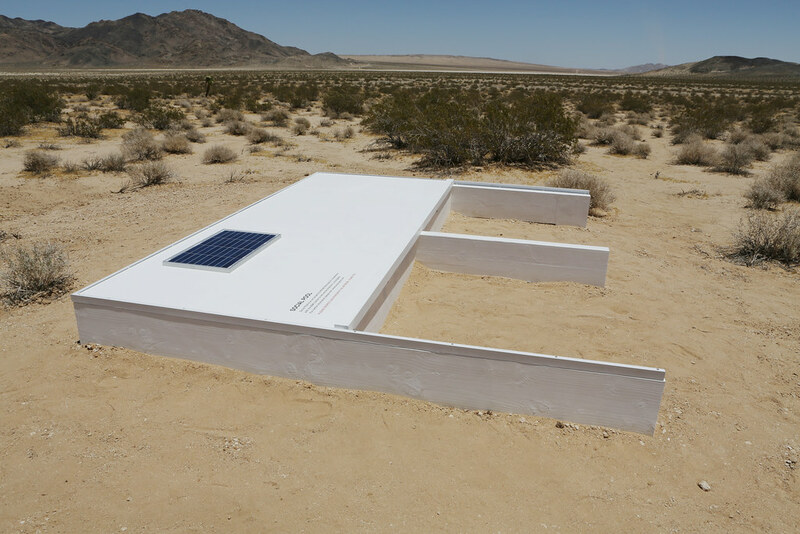 Barsuglia chose to stage his latest work in the Mojave Desert because “the infinite space opened his mind to the unexpected”. He asserts that the specific location was chosen for aesthetic value, and that pool itself is rather irrelevant—he prefers participants focus on the aspects of solitude and resource privatization. Most importantly, the artist wants visitors to question whether the making the trek was actually worth it, which brings up the inevitable question: Is it about the journey or the destination? Social Pool is on view “somewhere” in the Mojave Desert through September 30th, 2014.